Today’s guest is Professor Charles F. French. Professor French lives in northeastern, PA in the US of A. Trained in English Literature, he writes speculative fiction for fun and as a break from grading all those papers. He has two novels out now: Maledicus: The Investigative Paranormal Society, Book 1, and Gallows Hill: The Investigative Paranormal Society, Book 2, through an Indie publisher. He’s been a raconteur for so long he was probably born telling a story, and reading under a tree in the summer is one of his favorite childhood memories. While each of his novels has its own message and readers can draw their own conclusions, a consistent theme is predominant throughout Professor French’s writing: that ordinary people must oppose evil, bullying, and oppression of all kinds. A lofty goal! 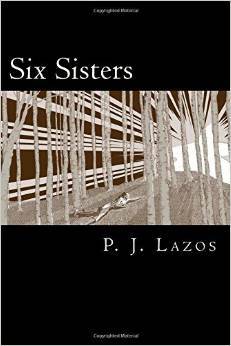 after their battle with the demon in French’s first book, Maledicus: The Investigative Paranormal Society, Book 1. Sam Sadlowski, one of the founding members of the Society. A retired homicide detective, Sam carries the guilt of never understanding why his teenaged son, Josh, a seemingly well-adjusted boy committed suicide. Sam had always been close to his son, yet never noticed any signs of grief or depression. 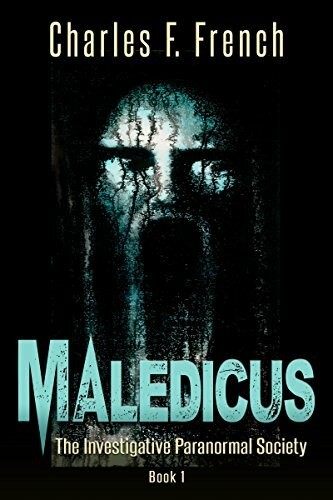 In Maledicus, an evil from ancient Rome finds its way to the small city of Bethberg, PA. In Gallows Hill two intrusions from the past invade the present. One is a human criminal, a man Sam helped to put into prison and who now vows revenge, and the other, the ghost of a former preacher/hangman whose severe Puritanical views have driven him to “cleanse” the contemporary world of sin. Sam now has to decide how to face these two threats—alone or with his friends. Both his life and his sanity depend on his choices. 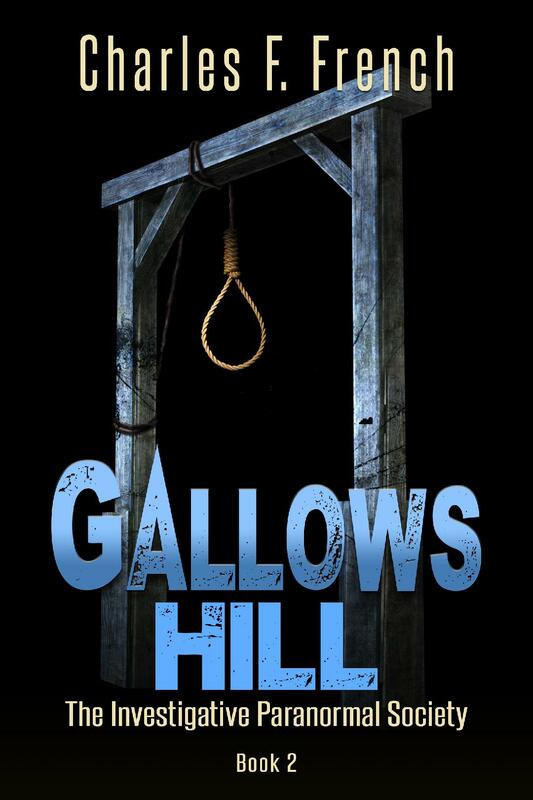 Gallows Hill sounds like a riveting story, one that is definitely going on my reading list. Where do you get your ideas? What inspires you? This may sound odd, but I picture characters first, and then I try to learn their stories. Only on rare occasions have I first had an idea for a plot before seeing the characters. How does a Professor of English literature come to write horror? I have loved Gothic and horror novels for a very long time. 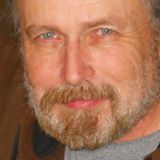 I write horror both to tell engaging stories, but more than that because I believe that horror in a supernatural novel is a metaphor for the very real horror in the world. I always try to incorporate some element of society, whether political, social, or otherwise, into my novels. Tell us about your writing background and process. I have a Ph.D. in English Literature, which I earned from Lehigh University in Pennsylvania. In many ways, it is a natural extension of my lifelong love of books and reading. I have always been a reader and a storyteller, especially while teaching. Writing novels is now the next step in that process. To answer about where I write, I am not someone who has a particular time and place to work. Because of my working schedule—I teach part-time at two different colleges/universities, and I teach more than full-timers—I work wherever I can. I always keep a tablet with me, and I always write my first drafts by hand. While I can never be certain where I will write, I still try to write one to two pages every day. I also like writing longhand because your brain processes things differently. Do you think writing is a form of therapy? Has it helped you work through anything in particular? I think for some people writing is certainly a form of therapy, but it is not for me. I simply love the act of storytelling. Pantser or perfectionist who meticulously plots out their stories? I am definitely a pantser. I have a general idea of where the story will go, and I discover the tale as it unfolds. I am not claiming that writing this way is a better approach than planning carefully; I am simply saying that it is mine. My favorite author is Shakespeare. I have loved his work since I was a teenager, and his writings are the one indispensable book for me. What has been your greatest writing lesson? How about life lesson? My greatest writing lesson is realizing that the creation of any art is mainly discipline, work, and effort. If a writer waits for inspiration, then it is likely he or she will produce nothing. Making art of any kind requires consistency and work. If you could be a character in any novel, what character would you be? That is a very interesting question, and I will go with a character I have enjoyed since I was a boy: D’Artagnan from The Three Musketeers by Alexander Dumas. If you had endless options, what would you choose to do with your writing? It would certainly be nice to earn enough money with the writing that I could cut back to teaching only 2-3 courses a semester. I hope that, in ten years, I am still writing every day. I would like to be able to publish at least one book a year, if not more. And to travel because I love it. My favorite place so far is Ireland. And the final question, do you think writing can save the world and if so, why? I do not know if writing can save the world, but it certainly can have a positive impact. Certainly reading fiction is one of the best ways to develop empathy in children, and the world can use a great deal more empathy and kindness. Thank you, Professor, and good luck with your writing! This entry was posted in Uncategorized and tagged blog tour, blogging, Charles French, Gallows Hill, Lehigh University, Maledicus, Professor Charles French, The Investigative Paranormal Society, writers, writing. Bookmark the permalink. 48 Responses to Interview with the Professor — of Horror! Always lovely to hear about other pantsers who revel in the thrill of discovery when they write. 🙂 Thanks for sharing this! I wish I could emulate the writing every day thing! At least, during the school year. Writing just can’t always happen during the school year. Gah! Another lovely interview with Charles French. I don’t often read horror but I do believe I will try this one. I enjoyed Charles’ interesting answers to the questions too. Same here. Horror is not my go-to, but this one sounds intriguing! This was a terrific interview. I loved your questions, and thoroughly enjoyed Charles French’s answers. My copy arrived yesterday! Thank you. Yay! Tell us how you like it! The questions were different, a little deeper. Therefore the answers were interesting. Thank you! Oh! The book just arrived this week. Great interview, and how commendable to have such an involved working schedule and still incorporate time for a writing career. I admit to a certain level of jealousy! Interested that he said he tries to write at least a page or two everyday no matter where he is. I think many of us feel they need to be in a certain place, maybe at a certain time of day and in a certain environment to write. Yes, there’s a level of discipline there I just don’t have! Ken, Because of my hectic schedule, if I did not writer when and where I can, I would never get any writing done. And I appreciate your visit! He discovers the plot as he goes along . . . I wonder what percentage of fiction writers take this approach. My guess is about 25%, but who knows. Hi Neil, I have no idea if what I do is typical or not. It is simply the way I write. Thank you for the comment! Thabks for this very intresting review with Charles French. Wishing you good fortune with your books. Thank you so much for your kind words! If you do buy one of my books, please let me know what you think of it. You are welcome, Charles, my pleasure! Great interview! I love learning more about people and what makes them tick! You’re welcome! Such a pleasure! 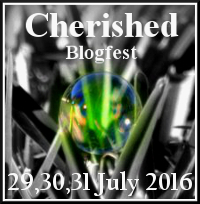 Thank you so much to pjlazos for this entry on my blogtour!